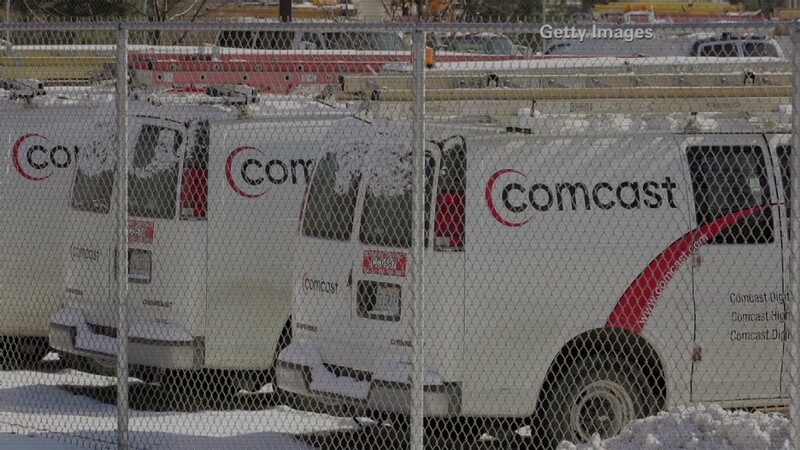 Comcast doesn't love the cord-cutters who are dropping cable TV subscriptions, but the company is more than making up for the losses by luring new high-speed Internet users. The cable giant added 203,000 Internet customers during April, May and June. That was enough for its best second-quarter performance in six years (think: long before Kevin Spacey became a Netflix (NFLX) rock star in "House of Cards"). Comcast (CMCSA) CEO Brian Roberts pointed to "tremendous demand" for the company's X1 entertainment operating system, which he called a "truly transformative experience." The high-speed Internet growth was a key driver in Comcast's 15% increase in second-quarter earnings on Tuesday, beating Wall Street expectations. Sales increased almost 4% to $16.8 billion, narrowly trailing predictions. Wall Street cheered Comast's earnings report, driving the stock 1.4% higher. 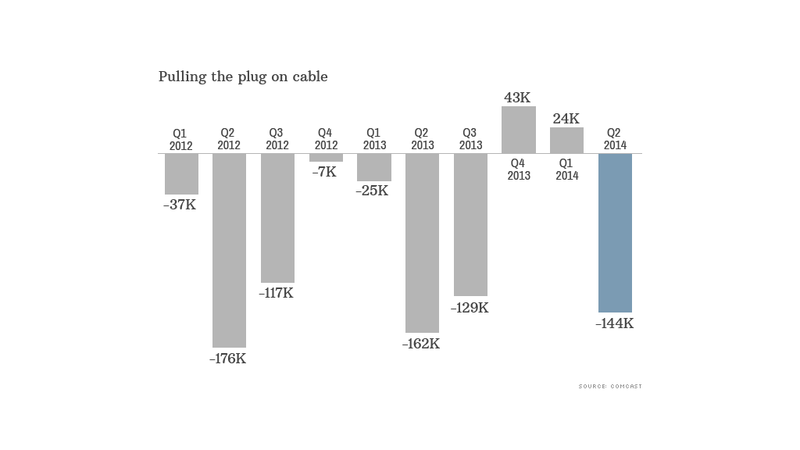 Comcast customers continue to cut the cable cord. This chart shows the number of video subscribers Comcast has gained or lost each quarter. The question now is whether the Internet growth is enough. Comcast is still losing video subscribers as Americans increasingly turn to Netflix and services like Amazon (AMZN) Prime to binge watch their favorite shows like "Orange is the New Black." Netflix on Monday said it topped 50 million members in 40 countries, including 36 million in the U.S.
Video customer losses at Comcast totaled 144,000 during the second quarter, but that marked an improvement from the year before when it lost 162,000. Overall, Comcast reported a 25,000 decrease in customer relationships during the second quarter to 26.8 million. That's better than the 66,000 customers it lost the year before. Comcast particularly likes "triple-product customers" who subscribe to Internet, TV and phone services. Those coveted subscriber numbers ticked up to 36% from 34%, helped by a 137,000 customer increase in voice services. Earlier this year, Comcast inked a $45 billion deal to buy Time Warner Cable (TWC) and form the country's dominant TV and Internet provider. The transaction faces opposition from Dish Network (DISH), which has called on regulators to block it due to "serious competitive concerns."